Goya Spain was founded in 1974. Initially its facilities in Alcalá de Guadaíra (Seville) were comprised of a processing and packaging plant for olive oil and olives for export to the United States. In 1985 Goya Spain expanded with the construction of a Factory for processing olives, improving its machinery for processing and filling olives from that of its original facilities. 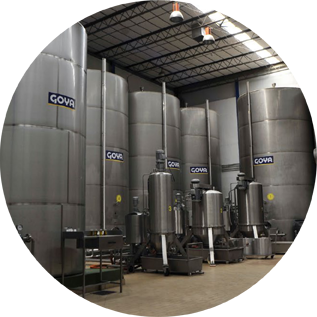 Since 1998 Goya Spain has had a modern and sophisticated industrial complex, specialised in both the processing and packaging of olives and olive oil. Thus, from the Goya Spain Factory, all international operations are coordinated. Our activity is 100% export, with a balanced export volume of 4 million kilos of olives and capers each year, and the same figure for olive oil. 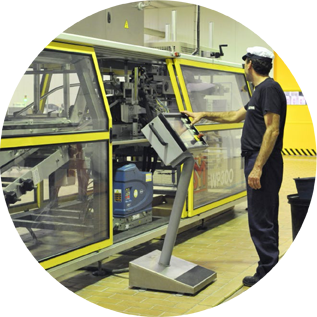 In recent years, Goya Spain has made significant R&D investments, with the essential purpose of increasing its production and even further improving its quality. in comparison with existing processes in the sector. of our products for the consumer. a controlled atmosphere and temperature. The Goya Spain plant packages the manzanilla and gordal varieties of olives. Its product lines include smooth, pitted, and sliced olives, olives stuffed with chopped peppers, alcaparrado, and salad olives. Likewise, Goya Spain differentiates itself from other companies in the sector by using roasted natural pepper in its “Salad Olives” and “Alcaparrado” condiments. To produce its oils, Goya Spain implements a strict production quality control that encompasses the different steps of the process, in line with the latest research and development in the sector. Our R&D department constantly carries out research monitored by agencies of the sector. Our area of expertise is in the selection, filtering and production of extra virgin olive oil, olive oils, and olive oil with a light flavour, with an unparalleled quality in the sector. The Goya Spain tasting team has extensive experience in the selection of oils. To ensure their quality and consistency, year after year over two thousand samples are tested, representing the widest range of suppliers in Spain, and ultimately less than 100 are selected to create the specific blends of GOYA® Olive Oils.